Following many years of sending thousands of free stickers to our fans, we are now changing the way that we are going to send these out to folks. 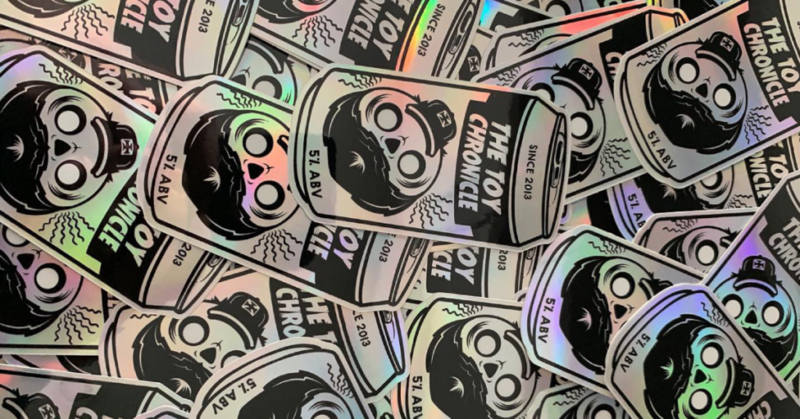 If you are interested in a free TTC sticker, you will need to make a purchase at our online store: thetoychronicle.bigcartel.com! We have our Five Year Prints, Five Year T-shirts available online, as well as our TTC DTA Win Pins and our Secret TTC Gang Cough Pins too! They should have arrived now, Luke. Sorry for the delay. Had to re-order them in. I’d like some free stickers here in TN. Can you provide me with an email so I can give you my mailing address? The email link provided is not working. I am unsure if it is my phone or a glitch on the page. Very cool of you to give out stickers.. No matter the persons age.. Who doesn’t love getting a sticker!? I would love some stickers plz.